It’s fair to say that DC really shook things up in the DCU in 2009, confusing a whole hell of a lot of people in the process. Grant Morrison turned his sights on the Dark Knight and the DCU, planning a storyline that changed the status quo in both instances. Batman R.I.P. and Final Crisis turned their respective universes on their ears. Between Batman R.I.P. and Final Crisis, Bruce Wayne faced his greatest and, potentially, final challenge. And, in the main story of Final Crisis, the heroes of the DCU faced a reality where Darkseid finally obtained the Anti-Life Equation and evil won. So, now that the Final Crisis is over and the Multiverse is restored everyone came to Comic Con asking the same question? What’s next. There were more than a few disappointments. First off, due to a family emergency, those hoping for answers from the architect of both of those story lines, the aforementioned Grant Morrison, were to be denied. Secondly, DC was fairly tight lipped about what is coming, since the real fun won’t start until June. But, here’s the distilled version of everything DC did say. We’ll start the DC party with big blue himself, Superman. Superman is leaving the Earth following Final Crisis. He will be taking up residence on the newly discovered New Krypton. This is the first time that neither Superman nor Action Comics will actually have the character in them. Greg Rucka will be writing Action Comics. There will be other heroes that fill the void left by Superman. 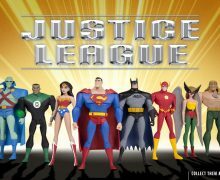 These include Nightwing, Flamebird, Guardian, Black Lightning, and more. They announce a special book called Superman: World of Krypton, which will be a very important book. Next they talk about Supergirl. She will be torn between Earth and New Krypton and will have to make a choice, which she does. her series will deal with her choice and it’s repercussions. This is all leading to a Big Event in 2010. They also mentioned that Geoff Johns, whose name is synonymous with writing just about everything at DC lately, will be writing Superman: Secret Origin. Next up, the changes coming to the world of the Dark Knight. Next up in Gotham is Batman: Battle for the Cowl. The current family of Bat titles is going away once the storyline starts. For the next three months, starting in March, a s pecial set of titles will ship. This special lineup will be a mix of the main Battle for the Cowl book and several themed one shots spotlighting different aspects of the Bat Universe. When the dust settles in June, there will be a new Batman and a new range of Bat titles. There will be 8 books in the new Bat Universe. They were revealed at Comic Con. They are: Batman, Detective Comics, Batman and Robin, Red Robin, Outsiders, Batgirl, Gotham Sirens and Batman: Streets of Gotham. As for Bruce Wayne, Morrison returns to Batman in June an d the story began in R.I.P. and Final Crisis will be continued. By the way, for those confused, here is the Batman R.I.P, – Final Crisis Chronology as outlined by DC: Batman #676 (Batman R.I.P. Part 1) ? Final Crisis #1 ? Batman #681 (Batman R.I.P. Conclusion) ? Final Crisis #3 ? 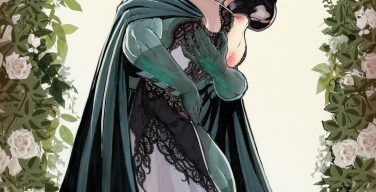 Batman #682 (Last Rites Part 1) ? 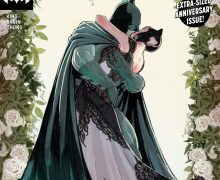 Batman #683 (Last Rites Part 2) ? Final Crisis #6 ? Final Crisis #7 ? Final Crisis #1 ? Grant Morrison, who hopefully will make sense of all of this when he returns in June! Big changes are in store for the Amazon, as the Rise of the Olympians begins.Themyscira is invaded by the Olympians, who believe that security is a man’s job. In Green Lantern Corps, Oa will experience some major issues, as there is a prison break in the Sciencells. Kyle and Guy will be fighting the riot and tensions will rise when a new Law of Oa is introduced. All of this will have a major impact on Blackest Night. We will learn the two catches of being a Blue Lantern. Also coming soon is the Agent Orange special focusing on the Orange Lanterns. According to Geoff Johns, their oath is the coolest and shortest oath. Blackest Night starts in July. Free Comic Book Day will see the release of Green Lantern: Blackest Night #0, which will be a full sized issue. about each of the 4 series. DC has promised one moment per series that fans will not be able to believe DC did. Final Crisis Aftermath: Run will feature the Human Flame, who was last seen videotaping the death of Martian Manhunter at Libra’s hands. This will be a look at what it is like to be an “F-List” villain. He is hated by both heroes and villains alike and his only recourse is to run. There will be lots of death in this book. Final Crisis Aftermath: Escape will focus on Nemesis, who is in the DC Universe’s version of Guantanamo Bay. It will also focus on the disarray that the Intelligence Community is in after Final Crisis and how intelligence is being gathered on Superheroes. The Global Peace Agency will have a role and this series is described as “The Prisoner meets Saw.” Didio himself is part of the creative team on that one and there is apparently a very disturbing scene involving the Time Pool. Final Crisis Aftermath: Ink will follow the Tattoo Man who is enjoying himself right now having been made an honorary member of the Justice League. He is a villain trying to change, but he has an addiction to evil. There is apparently an awesome riot scene in this book. Final Crisis Aftermath: Dance will follow the Super Young Team as they try to balance being heroes with being popular. This will be the “sleazy” book out of the 4. All of these book will have an effect on the DCU. It comes out April 1st. Barry and Bart are back. Geoff Johns assures fans that despite the release date of April Fool’s, it will come out on time. Johns says he wants to have the same fun here he had with Green Lantern: Rebirth. The Titans are in the middle of a membership drive. At the end, there will be a new team of 8 Titans. The main focus will be on Jericho, who has the combined consciousness of all the people he has leapt into in his head. April will see the release of the Titans annual, which will begin the Deathtrap crossover as Jericho tries to “outdeathstroke Deathstroke.” Deathtrap will crossover with Marv Wolfman’s Vigilante. Trinity is heading for the finish line, there are about three months left to go. 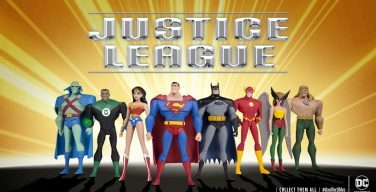 The story will be about other heroes rescuing Superman, Batman and Wonder Woman. It will also explore what they mean and their importance to the DCU. Dan Gurgens will be writing Booster Gold in the Brave and the Bold. Team-ups include Booster and MaGog, Booster and Booster and Booster and Nightwing. Keith Giffen will be writing Metal Men. And, finally, the Fifth World is the DC Universe after Blackest Night.